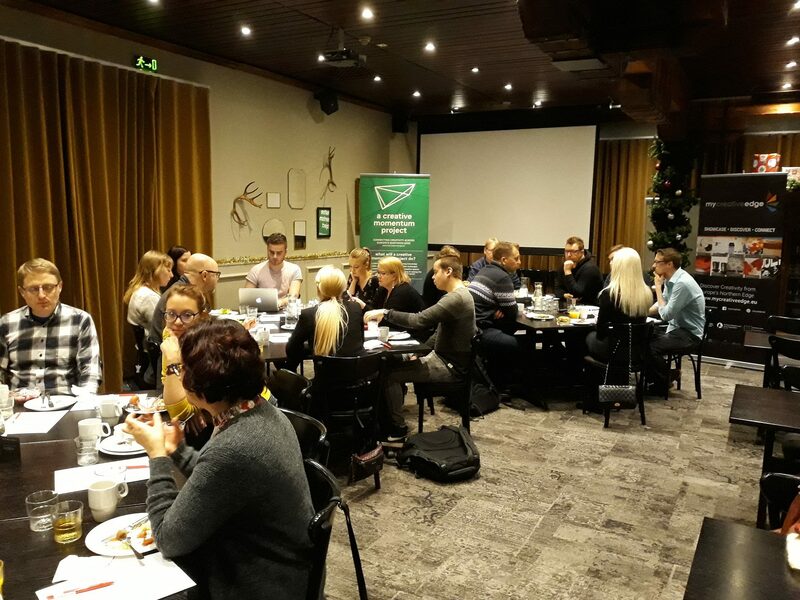 On 1st of December the Finnish Creative Momentum team organized an event called Creative Momentum breakfast for creative entrepreneurs and the members of industry advisory group (IAG) in Rovaniemi, Northern Finland. 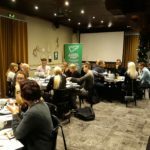 The aim of the event was to find business development possibilities for businesses and freelancers who are working in the creative industries sector. The guests were invited to enjoy delicious breakfast and to discuss about different themes of creative industries sector. We had a pleasure to host entrepreneurs from creative fields like handcraft, graphic design and digital media. The members of IAG represented House of Lapland, ELY Center and University of Lapland. Our goal was to find out if there is something new coming in the creative sector and how we should respond for those needs. We also wanted to discuss in which challenges we could help them by the Creative Momentum project. Mostly the entrepreneurs would like to get help with selling and marketing. Especially the tips for digital marketing and social media would be good for them. Business Administration students of Lapland UAS were also part of the host team. They had studied project management in their course and now they had a chance to improve their skills practically. For the students the event was a great chance to network but also to learn customer-orientated working. They were very pleased to get more self-confidence and to develop their professional skills. The Creative Momentum breakfast was very successful and especially the students brought positive energy with them!